When keeping fit is the priority, you need swimwear designed for your needs. The Women's Solid Square Neck Controlfit Swimsuit, an ideal combination of flattering coverage and durability, will help you to more comfortably enjoy every aquatic experience. In addition to featuring UPF 50+ technology for superior sun protection, this fully lined swimsuit includes a classic cut leg, high, square neckline, thick/supportive straps and modest coverage front and back. The TSQR7APC is also offered in TYR Pink in support of breast cancer awareness. 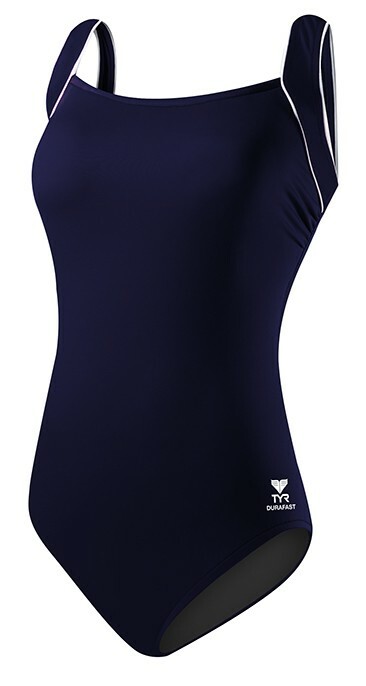 Equipped with thin, removable contour cups and full body power mesh control to maximize your shape, the Women's Solid Square Neck Controlfit Swimsuit is also created using our most advanced fabric - Durafast Elite. Utilizing high denier poly fiber and innovative circular knit construction, this fitness swimsuit combines the strength and colorfastness of polyester with the comfort of spandex. 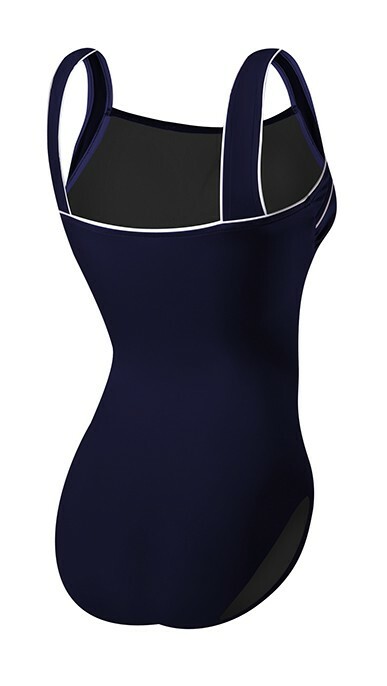 The Women's Solid Square Neck Controlfit Swimsuit is 100% chlorine proof, 100% colorfast, provides 300+ hours of performance and includes an antimicrobial lining for freshness. I bought the size 24, and the bottom was extremely tight, I could barely get it on, and then from the chest up it was huge. The straps were so long, and the bust are so huge I was falling out. Around the groin area, the leg holes were so big there was no covering it up, yet in the picture it looked like the sides didn't go up so high. I'm sure my height/weight have a lot to do with the fit, and the material was thick and looked very high quality, but was not made for actual plus size women who want to swim aggressively and need more cover-up. Not only that, I had to pay $12.00 in shipping to return the item that is non-refundable!! That's just bad business practice, and definitely doesn't win my loyalty or patronage. I basically paid $12.00 to try on a bathing suit. Will never order from here again. The only reason I gave it 2 stars is because the quality of the actual suit was great.